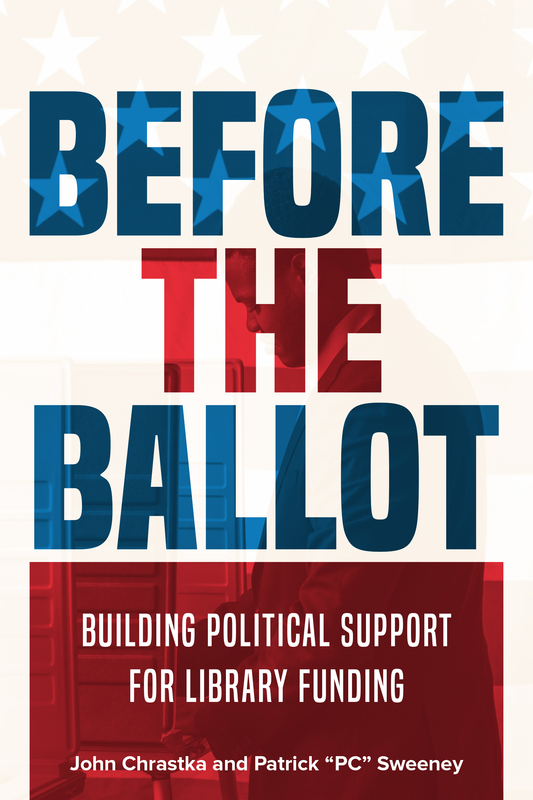 "Before the Ballot: Building Political Support for Library Funding"
"Marketing with Social Media: A LITA Guide, Second Edition"
CHICAGO — Library funding is political. And the struggle to secure funding is ongoing; the work that librarians need to do to influence local politics doesn't just pop up in the few months before Election Day. It should span the years before or between elections. John Chrastka and Patrick “PC” Sweeney’s new book “Before the Ballot: Building Political Support for Library Funding,” published by ALA Neal-Schuman, speaks directly to librarians, library staff, and boards. CHICAGO — The Public Library Association (PLA), a division of the American Library Association (ALA), the ALA Office for Library Advocacy and OCLC are pleased to announce a partnership to produce an update to OCLC’s 2008 report, “From Awareness to Funding: A Study of Library Support in America,” which explored voter attitudes and perceptions about library funding. CHICAGO – Every school library advocate has a unique story to share about how they developed and grew partnerships. A special panel during the ALA Annual Conference in Chicago will bring together three library professionals to discuss the partnerships they formed to extend the base of support for school library programs beyond school librarians. This panel builds on the goal of AASL/ALA’s recent Every Students Succeeds Act (ESSA) trainings: to create new or strengthen existing relationships in the community. CHICAGO - On May 9, 2016 Kansas City Public Library Director of Public Programing Steve Woolfolk was arrested for his efforts to protect free speech during a public program entitled “Truman and Israel.” During the program off-duty police officers hired by the event sponsor arrested a patron for asking difficult questions and then arrested Woolfolk when he tried to intervene. American Library Association (ALA) President Julie Todaro released the following statement. CHICAGO—In a unanimous decision, the Killeen, TX, City Council voted to amend its budget and maintain the Copper Mountain Library, one of only two facilities in Killeen’s library system. The American Library Association (ALA) and Public Library Association (PLA) coordinated with the Texas Library Association and local library supporters to urge the City Council to reverse a proposal to close this branch that serves hundreds of residents daily. CHICAGO — With its strong, clear and consistent messaging and versatile tools, the American Library Association’s Libraries Transform public awareness and advocacy campaign effectively conveys the transformative nature of today’s libraries and the critical role they play in the digital age. Since its rollout in 2015, the list of libraries that have adopted the campaign has been steadily building, with more than 2,700 libraries joining the effort. CHICAGO — The American Library Association (ALA) and the American Association of School Librarians (AASL) are providing support to local efforts to avert cuts to high school librarians in the Cleveland Metropolitan School District (CMSD). The proposed cuts directly follow district reform efforts that led to massive restructuring and a transition to a per pupil budgeting system.